I sent this link to the General Manager of Waterways at Melbourne Water, who kindly referreed me on to Kylie from Communications. I raised a few possibilities. 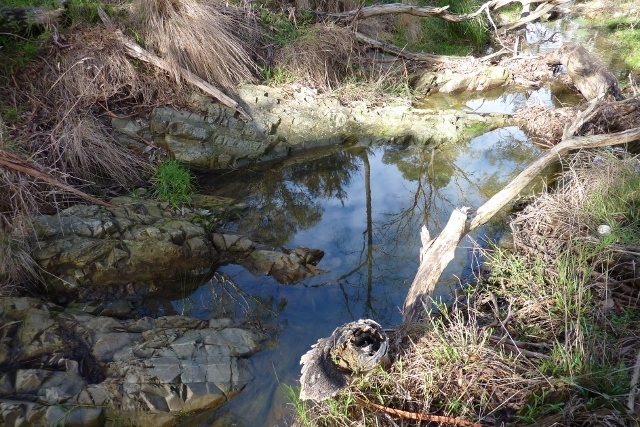 The MW’s Stream Frontage Program gives people on waterways grants to employ contractors to spray weeds, cut down exotic trees, fence and replant, all things that will improve the health of the waterway. I wondered aloud if there might be other people like me interested in sharing why they love their creek, and what they are doing to look after it. Why not invite people to put up photos and video? This might be the genesis of a community of practice between people passionate about their creeks, people currently separated by distance. We’re each in our valleys – perhaps we could leap over those distances, and start talking online, forming a platform of relationship from which we would support each other, inspire each other, and draw in MW’s technical expertise on questions we each have. Should I worry about this weed? Why has this replanting not done so well? How do I get rid of the rabbits? My starting point is to invite people to say what they love about their creek. From working with landcare groups, and living here beside Sandy Creek, I’ve come to understand that love of place is the seed for responsible action, and leads us out to others, to share what we love, and get and give support. So what’s happening at Melbourne Water. Kylie tells me the new website has blog capacity, and that the terms and conditions of use by staff and the public are currently being sorted out. We’ll see what eventuates.